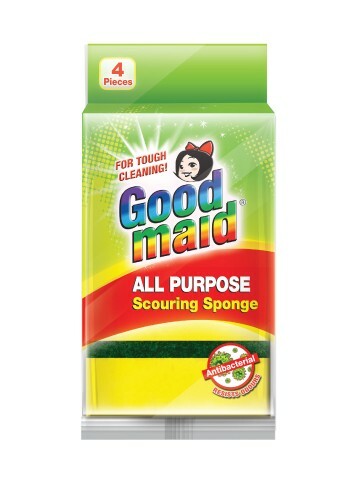 Scouring Sponge - Goodmaid Chemicals Corporation Sdn. Bhd. • Rinse scouring sponge thoroughly before and after each use. • Available to scrub non-stick pans, plastic bathroom suites, enamel or any other delicate surfaces by using sponge ( yellow part ).